The default MAMP's localhost document root is /Applications/MAMP/htdocs and I want to point it on my /Users/Me/Sites/ folder. But MAMP still doesn't accept my Sites folder as document root! I tried with websites sub-folders inside Sites or with other Mac's personal folders like Music, Pictures, Downloads or my own home and they are working! Only Documents or Desktop folders don't work either. It's seems a permission issue, but I don't know how to resolve it. Does it because Sites folder is used by other macOS apps or services? Edit 3 (07/02/2018): New MAMP v4.3 (released 24/01/2018) allows "~/Sites" as localhost root folder, watch my answer below. Not the answer you're looking for? Browse other questions tagged permission apache mamp . How to serve the personal website from different folder? 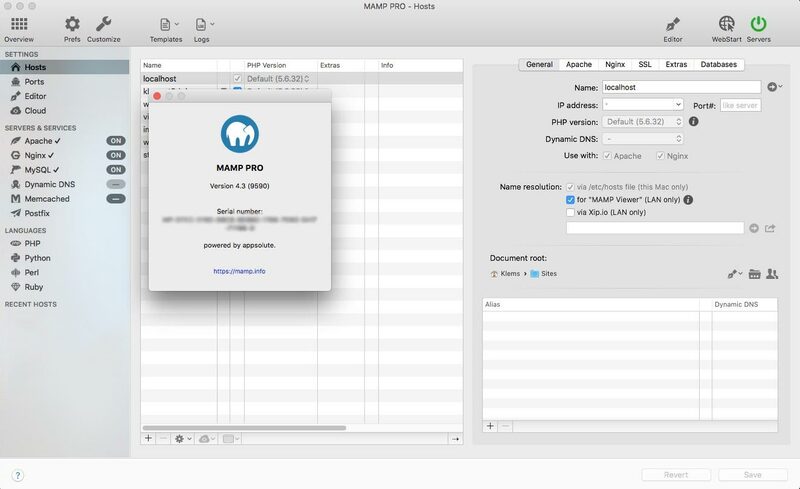 How to set up Document Root as “Sites” folder in Apache on macOS Sierra?